For the past week I have been thinking about kids and birthdays. Here’s why. My granddaughter, who turned seven last month, has liked shoes since she was two – genes she got from her grandmother. This has made birthday gifts easy for me as I promised her when she was two that every birthday, until she was 20, I would buy her a pair of shoes. She anticipates her birthday now, thinking about what shoes she will get and our ritual has morphed into me giving her money so she can do her own shopping. We both look forward to this exchange and I am rewarded by her giddy anticipation of shopping for shoes. But she is also aware that there are kids in Africa who have no shoes at all. She has seen and heard of the children that I have visited in East African schools who walk to school barefoot and who suffer from blisters and jigger infections. 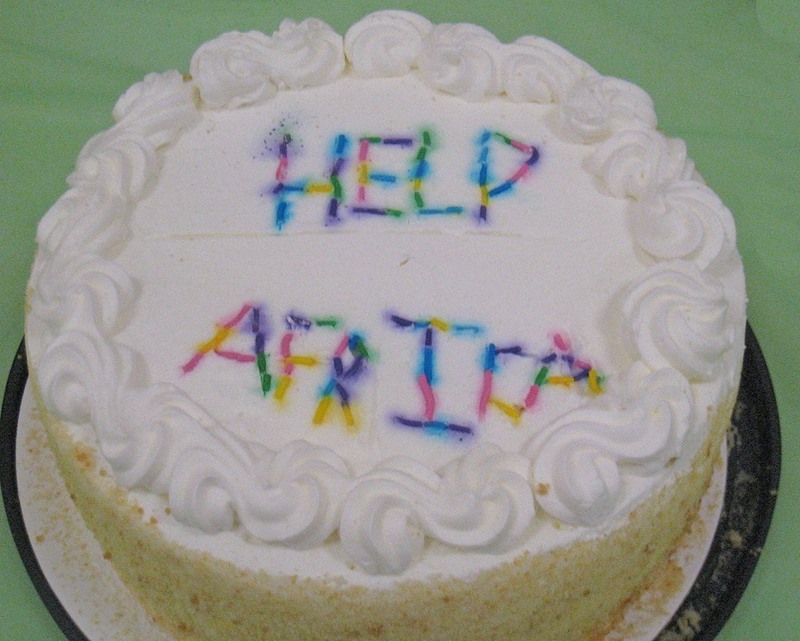 Most kids in rural Africa don’t have much by way of birthday celebrations. Cake and presents are beyond the means of their family. And ice cream? Well, in rural spots there is no electricity, let alone refrigeration, so ice cream is not something that they ever get to experience. A week after her birthday, Emma sent me $10 in the mail to put toward helping kids in Africa through the CanAssist African Relief Trust. She wanted to share some of her birthday shoe money with kids who had none. I am so very proud of her for her generous concern for others. Canada’s birthday is July 1. It always gives me pause on Canada Day to reflect on how fortunate I am to live in this country. We take for granted so many of the things that people in other parts of the world struggle to find – security, clean water, access to education and health care, and decent infrastructure. When kids hear about this they seem to understand and their hearts and minds immediately want to reach out to do what they can to help. It is an immediate, instinctive and enthusiastic response to the obvious need – a recognition that they can, indeed, assist. In the past few weeks, students in Mrs Pare’s grade 4 class at Glenburnie School have enthusiastically had fundraisers at the school to buy school furnishings for a small remote community school in Kenya. 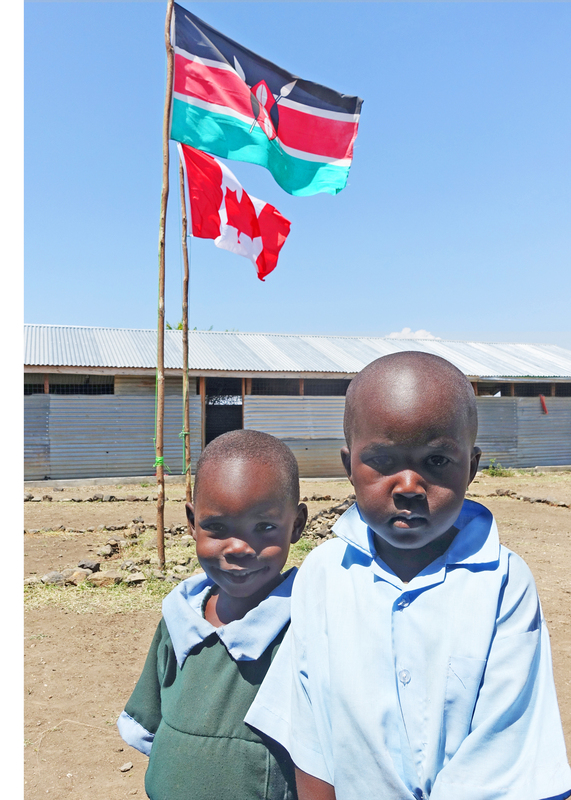 Earlier this year, CanAssist funded construction of three classrooms and a latrine at the St Catherine School in Siaya district of Kenya where previously 100 local children learned under a mango tree in the valley. The Glenburnie pupils want to help by providing money to have locally-constructed bench desks built so the Kenyan kids can get up off the cement floor. 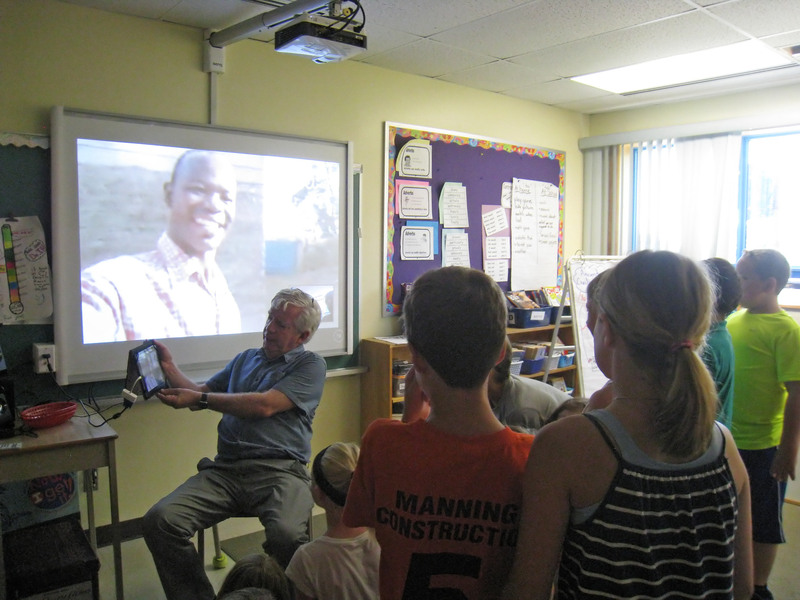 Last week, students at Glenburnie School chatted live online with CanAssist Field Representative Dan Otieno in Kenya. Dan was able to greet each one personally and thank them for their contributions to help the St Catherine School. And there is a bonus for the Glenburnie class donation. 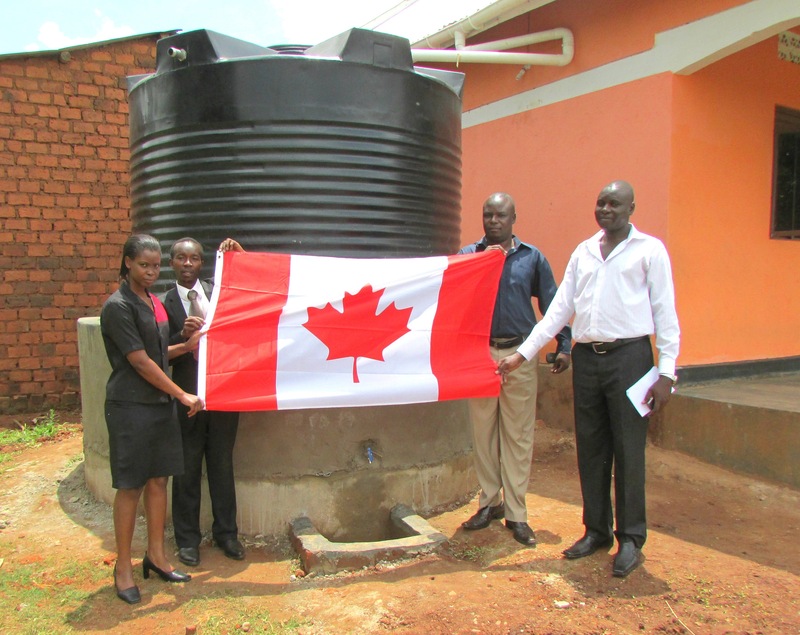 Their aim (and they are on track to achieve it) is to give CanAssist a check for $1000 on July 1, Canada’s birthday. What a grand way to celebrate the wealth that we have and share with peers in Kenya. What’s more, the Sasamat foundation in Vancouver has, once again, offered to celebrate our Canadian well-being by matching all donations to CanAssist in July up to a total of $20,000. The children’s donation to St Catherine’s will thereby be doubled to $2000 – good news for everyone. On July 9 and 10, from 10;30-2, in Kingston’s City Park, another group of enthusiastic kids are going to be busking. The “Not So Amateur Amateurs” will entertain with music, dancing and other artistic skills and the proceeds or their busking will go entirely to needy kids, including a school in Kenya. Like the Glenburnie student gift to CanAssist, the money raised and donated by these young entertainers will be doubled with the Sasamat July match. I am often overwhelmed by the caring compassion and motivation to help shown by youngsters who appear more aware of the inequities in this world than many adults are. I wonder, when a school class of 10-year-olds can raise $1000 for students in Africa or a seven year old can share a portion of her birthday gift money, what adults could achieve if they put their heart into it. If you would like to join these children in sharing your good fortune with young people in Kenya, your donation to CanAssist can also be doubled if made in July. CanAssist’s aim will be to use this money for school projects. July gifts to CanAssist, matched by Sasamat, will help a preschool, elementary school, secondary school and vocational school. Young Africans from the age of 4 to 24 will benefit.